Mexico is situated in an area prone to hurricanes. 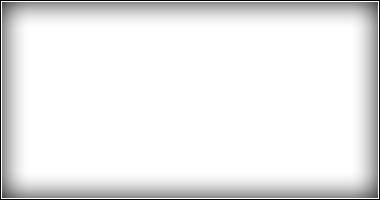 From June to November, the country may experience strong winds and rains as a result of hurricanes in the Gulf of Mexico. In the event of a tropical storm or hurricane alert, Shipdetective will post NWS updates and information for travelers on our Tropical Storm Update page. In recent years, moped rentals have become very widespread in Cozumel, and the number of serious moped accidents has risen accordingly. Most operators carry no insurance and do not conduct safety checks. The U.S. Embassy recommends avoiding operators who do not provide a helmet with the rental. Some operators have been known to demand fees many times in excess of damages caused to the vehicles, even if renters have purchased insurance in advance. Vacationers at other beach resorts have encountered similar problems after accidents involving rented jet-skis. There have been cases of mobs gathering to prevent tourists from departing the scene and to intimidate them into paying exorbitant damage claims. Taxi fares are regulated but make sure to negotiate your rate before you leave. Below are estimated fares based on 2 passengers from the cruise ship pier. Taxi vans are more expensive. Cozumel is the largest island in Mexico (28 miles by ten miles), situated just off the coast of the Yucatan Peninsula. It is one of the eight municipalities (municipios) of the state of Quintana Roo. Cozumel was a small fishing village until 1961, when Jacques Cousteau declared Cozumel one of the most desirable scuba areas on the planet. By 1970, Cozumel's population quickly grew to 10,000 and today the island boasts a population of more than 75,000. 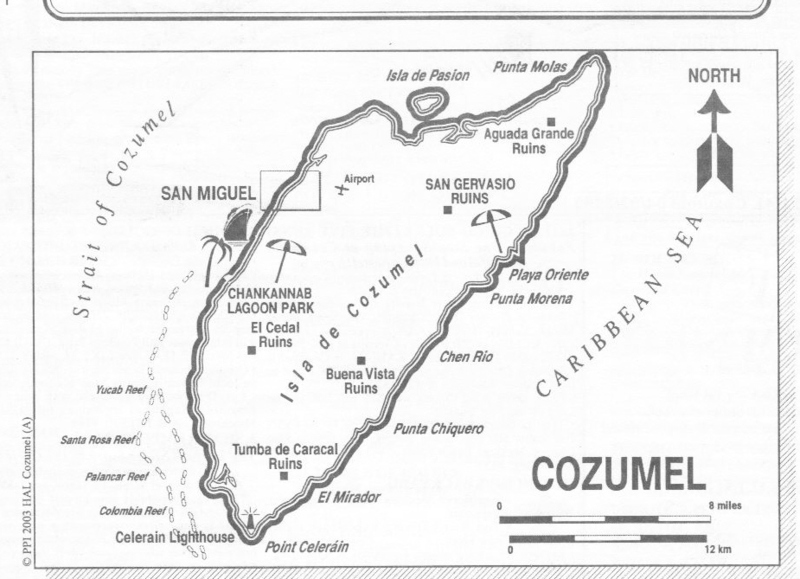 The vast majority of Cozumel residents live in the town of San Miguel, which is on the western shore. 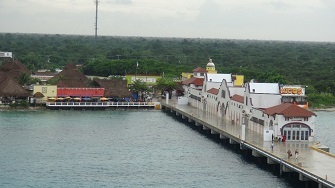 Punta Langosta Cruise Ship Pier (NCL), International Pier (RCI) and Puerto Maya San Miguel (Carnival). The major stores are usually open from 9 a.m. to 9 p.m. When a cruise ship is in port, more stores tend to remain open during the siesta period. Most stores accept credit cards, U.S. dollars and traveler's checks. Playacar is a residential and tourist development in Playa del Carmen, just south of the main urban area, where most of the all-inclusive hotels, the aviary, and the golf course are located. Playacar is privately owned. The ferry terminal is located right in downtown Cozumel, next to the Punta Langosta Cruise Ship Pier, right in front of Punta Langosta mall, and a block from the town square. Numerous Mayan cites are accessible, such as San Gervasio, a Mayan sanctuary to the fertility goddess, and El Cedral. The discover Mexico theme park takes visitors through Mexican history. The tour begins with an immersive video collage before moving to a beautiful garden with miniature replicas of the Maya’s greatest pyramids from Chichén Itzá, Uxmal, Edzná and Palenque. Marvel at intricately detailed models of monuments from the Spanish conquest, including cathedrals up to 9 feet high and Mexico City’s colorful central plaza. Its 2,500 acres shelter a variety of indigenous species, including exotic birds and crocodiles, not to mention sea turtles. Take some time to explore the El Caracol Mayan ruins and the Faro Celerain Lighthouse with a small maritime museum. This family-friendly park has underwater trails, snorkeling, and diving. Visitors can swim with the dolphins, zoom down the zip line in the Adventure Park, and walk across a swinging bridge over a crocodile enclosure. Cozumel is world famous for its diving and has many diving locations and dive operators. The current allows for gentle float diving. Please use this link for Cozumel Marine World Dive Sites to explore more. Note: All beaches are open to the public. Some west side beaches offer white powder sand - Playa Azul, Playa Pilar and Playa San Juan to the North. San Francisco Beach, Playa Sol, Playa Francesa, Playa Palancar and San Clemente to the south. The currents along the west side can be as swift as 5-6 knots (which is great for diving). Most of the current is located away from the shoreline, but not always. Annual event in February. Pre-Carnival events begin with the introduction of the Carnival King and Queen Candidates. The Grand Opening of the main Carnival events will begin when the elected Carnival King and Queen will be crowned. Carnival events are brought to a close on the night of with the traditional reading of the 'last Carnival testament' and the burning of Juan Carnival. Annual June Event. The island of Cozumel honors the two saints San Pedro and San Pablo with a festival featuring fair rides, local arts and crafts and food stalls with regional treats. On 15 September, the night before Independence Day, crowds surround the City Hall in Cozumel and follow the lead of the mayor on the balcony in belting out "Viva México". September annual event. Cozumel pays homage to its patron saint, San Miguel Arcángel (Saint Michael the Archangel), with masses, parades and parties throughout the island. Fisherman carry an image of the saint to the downtown pier and board a boat out to sea with worshippers following behind in a ferry, throwing flowers into the ocean. Annual November Event. Beginning in 2009, Cozumel will host the Ironman Triathlon for five years. More than 500 competitors from more than 25 countries around the world will come to Cozumel for the event.